Playful suncare line Sun Bum has launched a facial SPF. In a tub, the aloe- and vitamin-E- rich cream goes on thicker than the sprays, and sinks in like a protective, moisturizing face cream. Plus, we just like saying, "pass the Sun Bum, please." 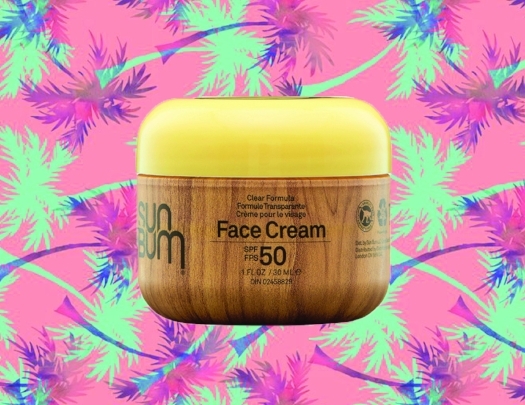 Sun Bum SPF 50 Face Cream, $14, at Shoppers Drug Mart.